Galearis spectabilis is the Showy Orchis! 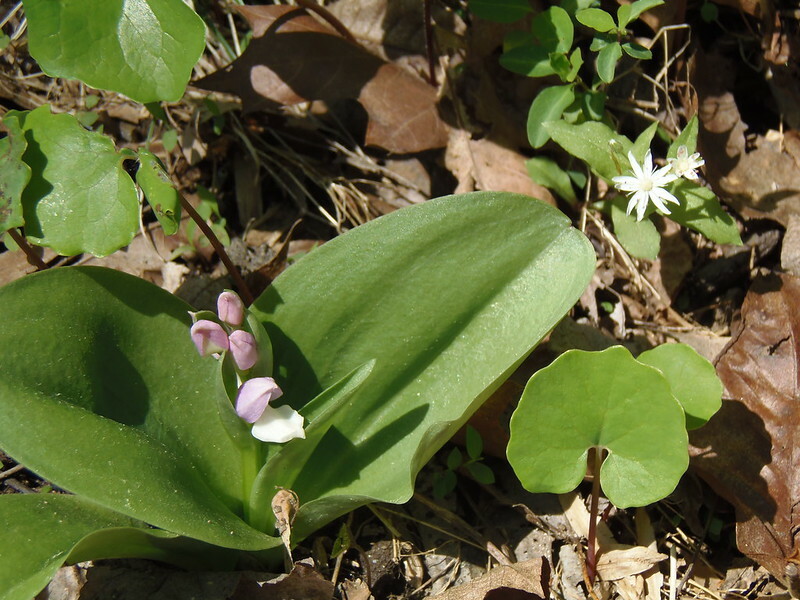 This orchid miraculously appears on the forest floor in April and May in Virginia. It likes limey soils like we have here in Montgomery County, and it is often found on the edges of swampy terrain. This week it is coming up on the hillside at my house and near the stream at my neighbor, Mary’s, house. I have her to thank for most of these photos! The plant has two oblong to round leaves that come up first. Within a week, the stalk of flowers appears with white buds. When open, the pink and white or purple and white flowers are about 1 inch long; usually there are several flowers to a stalk. These are truly woodland jewels, so be careful not to tread on them as you make your way through the forest! Showy orchis is a small plant, growing only 6 to 12 inches in height. Click any photo below to open the viewer. Then raise a glass to this spectacular local wildflower! I’m putting my Appalachian Wildflower Guide back on the bookshelf and using your website for future help with identification! What a wonderful resource you have created! I stumbled across this Showy Orchis in the GW National Forest in Amherst County and used your website with photos to identify it. Thanks very much! Thanks, John! I’m so glad you were able to use it! Ditto the above comment. I found this little flower in our woods just yesterday and couldn’t identify it until I found your site. Wonderful!! Thank you! There was only one of these plants that I could see, hope it multiplies! I have a few on my property and they haven’t bloomed yet. Looking forward to seeing their happy faces!